Born from the school of lean project management, Development Operations (DevOps) aims to streamline the development and deployment of software to production, drastically improving efficiency and reducing downtime. Often times these inefficiencies are blameless, but allowed to persist, compounding the risk to the entire system. Our DevOps processes solve this by empowering teams to collaborate frequently, reduce frictions or delays and streamline rapid software delivery. What Agile Project Management brought to the software development process; rapid value delivery, DevOps brings to the entire software production process; seamless deployment and monitoring. Sometimes we forget that the most powerful innovations are actually our ideas and paradigms. Rather than a particular set of computer technology that plugs-n-plays, DevOps is a set of ideas, principles and workflows crafted to sand the edges of the development and operations process down. Practical Logix leverages these paradigms to reduce the time and hazards of deployment, through selecting the right technology for your projects, to training your staff to uphold DevOps efficiencies, and we can even assume the entire DevOps responsibility so that you don’t have to. The traditional approach to software deployment comprises of disconnected processes, remnants of the older software development methodologies like Waterfall model. In the traditional approach, deployment was initiated after the development stage was over. However, any issues during the deployment process would result in a substantial bottleneck that completely negated the advantages of using Agile Software Development in the first place. This resulted in unexpected experiences for clients, developers, and other stakeholders. Improved collaboration between technical, business, and management teams — increases cohesiveness in your organization. Faster issue detection and resolution compared to the traditional approach. 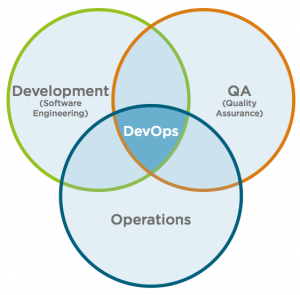 Does your organization need DevOps? Are you just building an MVP or is it a longer shelf-life project? What is the size of the team that would be required for the project? You can always start without DevOps practices to a certain stage of the product. 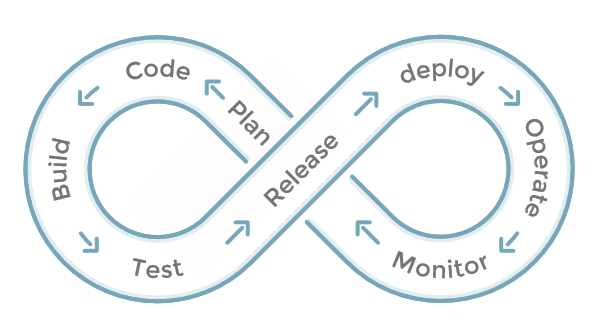 Once you are planning frequent releases and more and more features are pipelined for development, DevOps becomes inevitable. Hence, it is advised to identify the appropriate stage and start implementing the practices. No organization should willingly forego such a broad range of benefits offered by DevOps. However, the technical dexterity required to set up a great DevOps environment requires specialized skill-set and training. We ensure that this requirement doesn’t impede your organization from implementing it, by providing all the expertise and talent required. DevOps directly enables faster software delivery, deployment, integration, and testing, while easing management load, and reducing the gap between addressing and discovering issues. DevOps intends to directly improve the development and deployment processes, but the impacts on business goals cannot be ignored. Improved quality software, better customer experience, and reduced time to market are just a few.